Formula to Find Bearing or Heading angle between two points. Bearing or heading is used to define navigation generally in the field of aircraft or marine or Vehicle navigation or while working for land surveying. So what’s the heading or bearing? How we can find bearing between the two points on earth, with the formula? Or How we can find the other point, when one point, actual traveled distance and bearing is given? Let us discuss all this points, followed with the example and experiment with the tool for calculating bearing provided in the post. Bearing can be defined as direction or an angle, between the north-south line of earth or meridian and the line connecting the target and the reference point. While Heading is an angle or direction where you are currently navigating in. This means to reach a particular destination you need to adjust your heading direction with the bearing. Generally a ‘compass’ is an instrument, which gives you the direction information for navigation. You must refer Haversine distance formula before going through this post. Denote point A and B as two different points, where ‘La’ is point A longitude and ‘θa’ is point A latitude, similarly assume for point B. 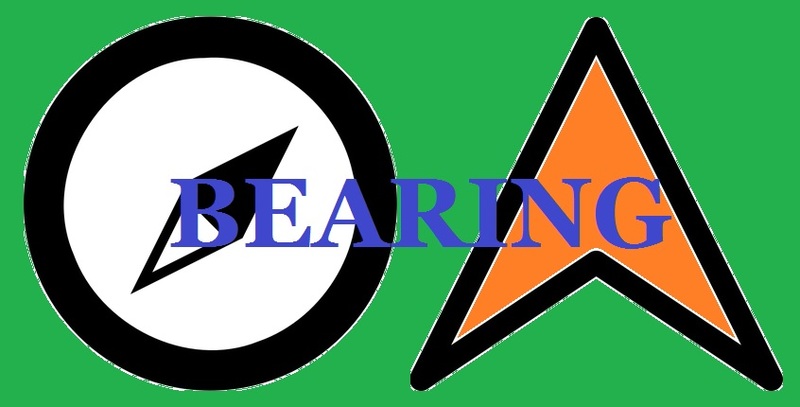 Bearing would be measured from North direction i.e 0° bearing means North, 90° bearing is East, 180° bearing is measured to be South, and 270° to be West. Note: If bearing is denoted with +ve or –ve initials whose values lies between 0° to 180°, then –ve is denoted for South and West sides. This means, from Kansas City if we move in 96.51° bearing direction, we will reach St Louis. Check out Advanced Bearing Angle calculator here. Let us assume a condition, where you want to find out the where will an Airplane will land up, if you have following details of that Airplane, i.e actual distance it will travel, the bearing and the starting point (lat,lon)? Tool to find other point, when bearing, distance and one of the point is given. I hope this article will definitely help you, to find the bearing or heading. You are free to share more data related to bearing or any thing that you uses to calculate bearing and how you use navigation with bearing. If you find anything difficulty to understand the bearing calculation, you may comment below, so that we will discuss further on finding bearing or heading angle. I trying to understand the derivation of X and Y. My understanding is that here X is the long difference and Y is the lat difference. Long diff varies with how far from equator toward the pole you are, in other words varies with latitude. I think the X and Y are actually reversed in the above derivation. It works for me but only when I reverse them within the argument of the ATAN2 function. Maybe Akshay could comment on this, please. Also, in the Haversine distance formula referenced (linked) above, the delta lat and delta long formulas use point #1 minus point #2 instead of traditional delta values where the first value is subtracted from the second (i.e. point #2 minus point #1). The simple way to see these derivations is to understand that the polar coordinates of lat/long are first converted to cartesian (X, Y, Z) where the polar direction of lat/long is parallel to the cartesian Z direction, +X points to 0,0 lat/long and +Y points to 0, +90 lat/long. The cartesian are then the typical or common Earth-centered coords. A diagram of this will show why a Latitude-dependent coefficient or multiplier term must accompany Longitude, since the distance subtended at Earth’s surface by some fixed angle of longitude changes with the latitude where that distance is measured. At North or South poles, that distance will become zero as all longitudes collapse to the same point, the pole. Along the Equator, that distance will be its maximum as the lat-dependent coefficient equals unity. Multiply answer by 60 to get Nautical miles. LHA is NEGATIVE if it’s less than 180º . If LHA is greater than 180 it’s treated as a negative quantity. If the Azimuth angle as calculated is negative, add 180 to it. Really thank. I found this bearing formula very useful. The values that I got according to formulation for x and y are different!! I had the same problem but I could figure out what was wrong. You have to convert your Lats and Longs to Radiant to get the correct results. 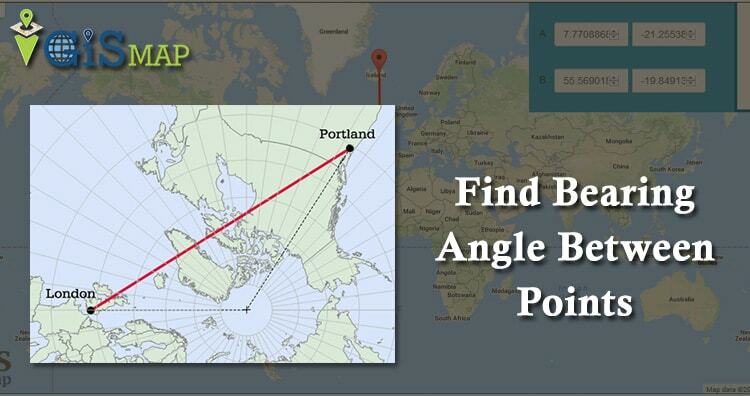 the resulting bearing angle, we should use it from the geographical North right? How can I plug this into a calculator after I’ve found my X and Y values? Thank you very much indeed for the clear and detailed explanation. Would someone please explain why the following set of coordinates (a to b, and c to d) have relatively similar direction but the bearing angles are so different?